This is a mod based on the Moon for the current version of the game. Marvelous Moon 1.4.7 allows us to create a spaceship to travel to the moon, but not in a literal sense as the ship will not move, but clicking on it, brings to this new dimension. For the trip to the moon is required to craft an space suit because we can’t breathe. Also noteworthy is that in this new dimension won’t find more than a mineral that fills the lunar surface. We live on the moon using only materials such as stone, iron and glass building. If we close completely and put the building blocks, that, emit oxygen so we can have a house on the moon. 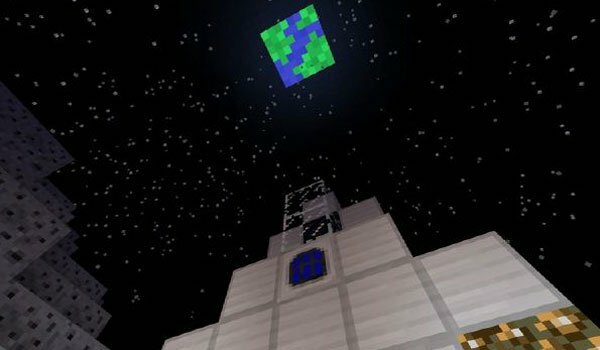 How to install Marvelous Moon Mod for Minecraft 1.4.7? Going to the Moon in Minecraft!